Welcome to Swiss Components, Inc.! Swiss Components, Inc. was founded in 2000 in Melbourne, Florida, and has firmly established their reputation as the Precision Machined Plastic & Metal Component Specialists. Since its inception, the company has been unwavering in their dedication to meet and exceed their customers' requirements, and deliver superior quality products. All at highly competitive pricing! Our knowledge, experience and communication skills ensure that we provide excellent customer service, enabling us to work easily and effectively with any member of your organization. Our Production Quality Assurance Standards are in full compliance with MIL-I-4508A, adhering to the highest standards for material tracking and documentation. We are ANAB accredited and ISO 9001:2015 and AS9100D certified for process control. Our team is constantly searching for more innovative production methods in an effort to simplify and increase production, while enhancing quality control and ensuring accuracy. We constantly consider our customers' requirements and time schedules to guarantee reliability and full customer satisfaction. 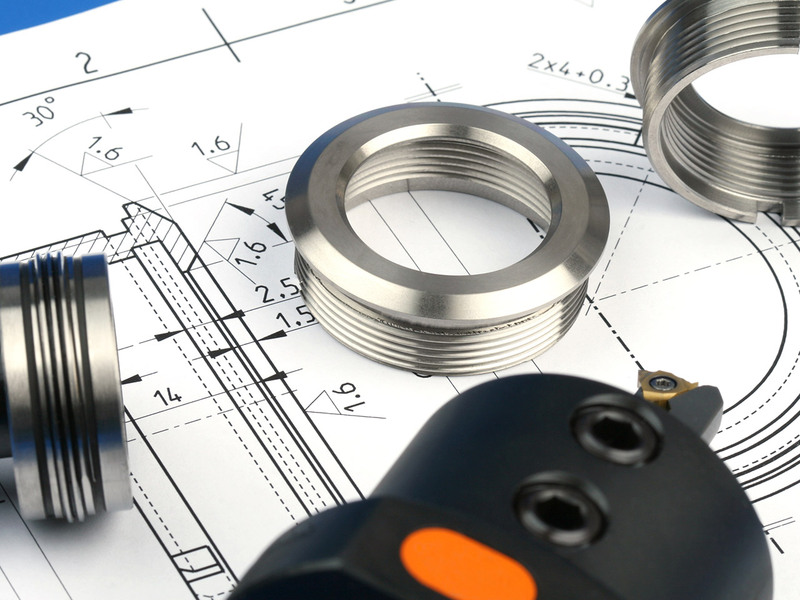 We offer Precision CNC Machining services for parts used in even the most mission critical industry applications, from aerospace and defense to medical, commercial and automotive applications. By employing the state-of-the-art in touchless measuring systems, we insure that your most stringent specifications are met. We pride ourselves in our short run times and our around-the-clock production capacity to guarantee delivery to accommodate your production schedule. Here at Swiss Components, Inc., our people and machines can produce virtually anything. We specialize in custom design. Basically, if you can think it, we can bring it to life! We can machine many metals including Titanium, Aluminum, Brass, Copper, and all grades of Steel: stainless and essentially any steel alloy. Just send us your metallurgical requirements and specifications so we can accurately quote and produce. 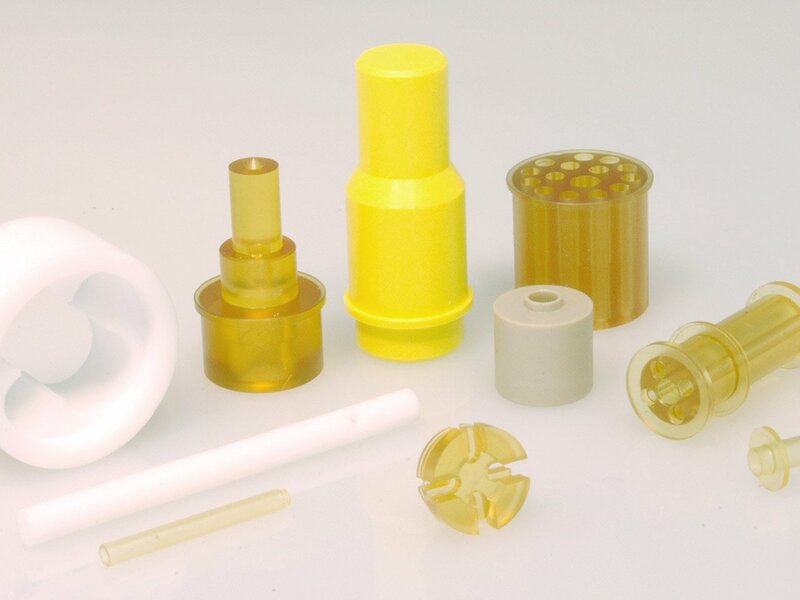 We also machine a wide variety of plastics including Vespel, Lexan, Noryl, Teflon, Ultem, Kel-F, Nylon, Delrin, Rexolite, Polyethelene, and other certified materials pending your specifications. We love a challenge, so call us with your needs or email/fax your specs and we will respond in 24 hours with a production quote. The definition of the term "machining" has greatly evolved over the last century, as technology has impressively advanced. Once, the term "machinist" was a simple reference to someone who built or repaired machines. A "machinist's" work was mostly done by hand through processes such as the filing and forging of metal, as well as the carving of wood. At that time, the terms "machined" and "machining" did not yet exist. The Machine Age was a great evolution for the machining process, resulting in what we now refer to as "traditional" machining processes in which machine tools are now used. Machining has now become any process that uses a cutting tool to remove small chips of material from the workpiece. These machine tools are mainly lathes, milling machines, drill presses, and a few others. They are now used in processes, such as turning, boring, drilling, milling, broaching, sawing, shaping, planing, reaming, and tapping. The use of these new machines allowed for greater accuracy, consistency, and faster production times. The Swiss-type precision CNC machining uses a specific Swiss-style lathe that allows for even greater accuracy, with some holding tolerances as small as a few micrometers! Today, the majority of these Swiss-type lathes use one to two main spindles, as well as one to two back spindles, or secondary spindles. The main spindle is used in conjunction with the guide bushing for the primary machining operations. The secondary spindle, which is located behind the part, is aligned on the Z axis. In basic operation, it collects the part as it is cut off, and takes it for secondary operations, and then expels it into a bin, eradicating the need to have a human operator manually change each individual part, as is often the case with standard CNC turning centers. This makes the Swiss-type machines highly efficient, as they are capable of remarkably rapid cycle times, producing simple parts in a single cycle in as little as 10-15 seconds, which negates the need for a second machine to finish the part with second operations. This makes Swiss-style machines ideal for high quantity production runs of small-diameter parts. Furthermore, as many Swiss lathes integrate a secondary spindle, or 'sub-spindle', they also assimilate 'live tooling'. Live tools are rotary cutting tools that are mechanized by a small motor autonomous of the spindle motor(s). Live tools increase the complexity of parts and components that can be produced by the Swiss lathe. For example, automatically manufacturing a part with a hole drilled perpendicular to the main axis is very efficient and cost-effective with live tooling, while correspondingly uneconomical if done as a secondary operation after machining by the Swiss lathe is complete. The term 'secondary operation' refers to a machining operation requiring a partially finished part to be secured in a second machine to complete the manufacturing process. Typically, advanced CAD/CAM software utilizes live tools in addition to the main spindles so that most parts that can be drawn by a CAD system can actually be manufactured by the machines that the CAD/CAM software supports. While the CNC Swiss-type machines were once seen as a specialty tool, they are becoming more and more prevalent in shops that are filled with the more conventional CNC machines.